A follow up on Martian life? This post is a follow up of thoughts that were triggered by the things we hear about the search for life on Mars. We said that speculation about how to look for life on Mars is couched in terms of what we know about life on Earth and how we know about life on Earth in our present time. Here is a bit of further musing on the nature of independent thinking--if there is such thing. One might think that the history of music is pretty far removed from anything useful to thinking about science, but in at least one important way it is quite relevant. This is triggered by some reading we've been doing--just for interest--about music, and that got our attention. Here, we're referring to composed music rather than what people were singing in the showers or on the streets. Musical styles change through history. Medieval music was church-based and had to follow lots of rules. It was almost strictly vocal. Then, in the Renaissance, more secular and more a mix of voice and instrumental accompaniment. 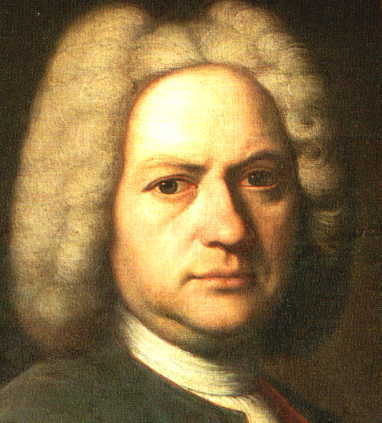 In the Baroque period, there were formal structures that were followed, by the likes of Bach and others. And then came modern style opera and orchestral music. The genius of his time was Bach, but later it was Mozart, then Haydn, then Beethoven, then.... One can ask, if they had exchanged time periods, could Mozart or Beethoven have written the works they did? The answer is no. The more we look into the development of things, in any field whatever, the more we become conscious that to each epoch there are set certain limits of knowledge, before which it has to come to a halt, and always at the very moment when it was apparently bound to advance to a higher and definitive knowledge that seemed just within its grasp. The real history of progress in physics, philosophy...is the history of incomprehensible cessations, of conceptions that were unattainable by a given epoch, in spite of all that happened to lead it up to them, -- of the thoughts that it did not think, not because it could not, but because there was some mysterious command upon it not to. 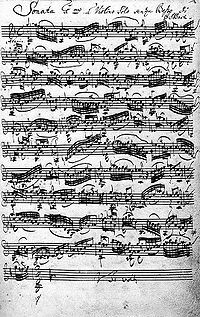 In music the constraints included both the understanding of theory, of chords, harmonies, and how they 'sound' to listeners, but also they involved the economics--concert halls for the middle class replaced recitals in wealthy homes, or the church constrained what was legitimate; they involved technology, including the very instruments that existed. Without pianos, subtle keyboard music wasn't possible, without modern string instruments, a whole range of emotions and ensemble playing wasn't in the cards. Why can we have a history of music, of art, of architecture...or of science? It is because of the chain of evolving context. What we are now is a product of what we (or our ancestors) were. We are constrained by the legacy, and we can't live in our future, even if we do live in the future of all the people who once lived. Unlike a perfect law-like world in which the present could predict the future, for example, as you can predict the path a thrown ball will take, we cannot predict the future of art, or of science. When we struggle against the unknowns of our own day, we do so in the context of what we know, of the technologies we have available, of the social context of jobs, approvals, status, and a sense of meaning. We need funding, and that means we must appeal to the contexts of our own day. Unlike the arts, science purportedly deals with the objective nature of Nature. Presumably that is a given, we are born to observe and try to understand it. In the arts, we think more of inspiration and open creativity, not constrained in the same sense with the realities of the physical world. But the two areas are not so different. Both science and music build on the shoulders of giants, as Newton put it, but they stray too far from the giant at their own risk. Mavericks don't generally fare well. Most of us inch along, even when we are well aware that that's just what we're doing (no matter how much we may trumpet our worth). Many who succeed had some unpleasant, disturbing, unusual or quirky childhood or circumstances that led them to see further. It was rarely (if ever) due to what they learned in school--many of the greats in any field were not the products of institutionalized schooling. Usually, even the transforming geniuses of any age are building on, by departing from, the context they inherited. That's why, for example, even in science we can find inklings of transformative ideas in the murmurings of predecessors. Often, indeed, we can find a maverick or two who said what the genius said, but in an unprepared soil so the message was lost. Partly conservatism and normal-science, partly the reality that we can only do what we can do, even if we know there are problems that go beyond just the fact that much is still unknown--there are problems with the entire approach, etc. So when we complain about the modus operandi of our era, we understand that first, most scientists can't just invent something totally new; second, they could not have careers if they tried to; third that they would most likely fail if they did; yet fourth, one cannot order up genius the way you order a hamburger; but, nonetheless, it is important for at least some in the field to harp on its limitations to try to stimulate new thinking. So this brings us back to life--on Mars. The ideas about what that must be like--the expectation that we'll find 'microbes' or, perhaps more revealing, the interpretation of structures in a Mars meteor as microbes, shows how we interpret even something so alien (so to speak) as life elsewhere, from the lenses of our current experience. In the past, even among scientists, when we didn't have the DNA and biochemical focus we have today, nor any satellite or huge telescopic reconnaissance directly from the planet, much more dramatic and well-developed forms of life were imagined. Life today has some basic characteristics, that we discussed yesterday. If we were to discover a quivering slime somewhere, that was clearly a form of life, or some other form that's foreign to Earth life, then our speculations will change accordingly. Just as we think it laughably far-fetched to imagine little green men on Mars, future scientists may think it was laughably naive to suggest such parallelism between Earth and Mars as is done today. It's possible as we said yesterday that our understanding of chemistry is so complete that we can rule out truly different kinds of 'life.' But that would be remarkable, given the history of science to date. We always think we know the parameters as well as the perimeters of Nature. The 'end of science' has been proclaimed before. But so far, we've been wrong because we've always been very limited in our understanding. Similarly, no one can say what kind of music here on earth will please our descendants. Enjoyed the music discussion, and totally agree -- context, both physical (instruments, venues etc) and mental or social, determines what arises next. Sometimes I think Hayden had it easy, he had well-defined forms to work within. For Mozart it was a bit tougher but obviously he was up to the challenge. Etc. Great composers were the ones that could surprise with new material in the context of what was acceptable ... different enough to be exciting, but still understandable. Today it’s hard to know what will interest listeners in terms of new ideas without losing them for being too far out. But maybe there's a difference between science and music in that in science, the results of breaking free from restraints of context can in theory be tested. Leaps in music composition probably will be rejected and forgotten if too big. In the old days, composers had to please their church official, or their rich patron. Then it became the concert-hall audience and critics. Today, it's some mix of marketing factors etc. In science, we need to write what's music to the ears of funders.